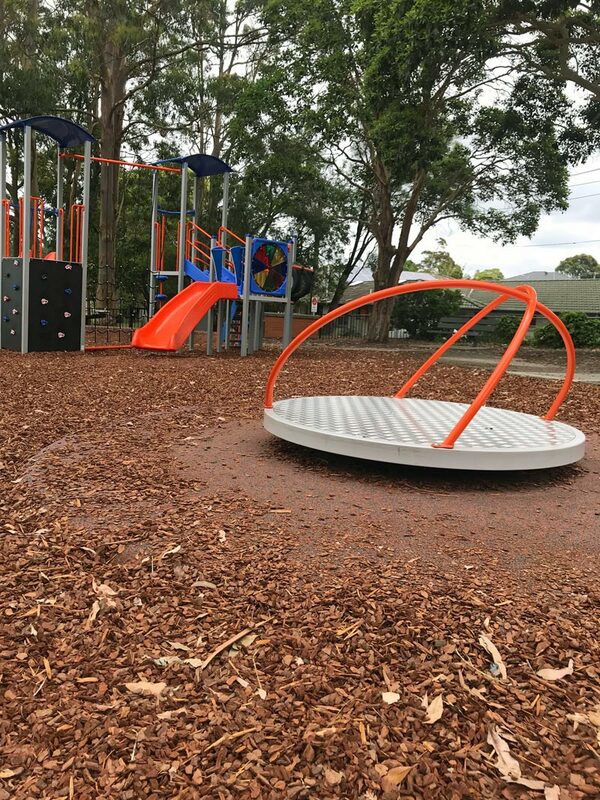 Horrified Dad finds hypodermic needle in playground: "This is disgusting"
Would someone please tell the junkies that a kids’ playground is NOT the place for them to shoot up? The other day when scrolling through Facebook I was stopped dead in my tracks. Now I know all sorts of dodgy things happen in public parks, but this was a suburban park and the used needle was found IN the enclosed playground. All those curious fingers scavenging through the bark. And perhaps even some tiny bare feet treading on it too. Because I’ll be the first to admit I let my kids take off their shoes when at the park, especially when there’s a sandpit. But I sure as hell won’t now. Oh, and another syringe was found in the surrounds, as well. Shudder. 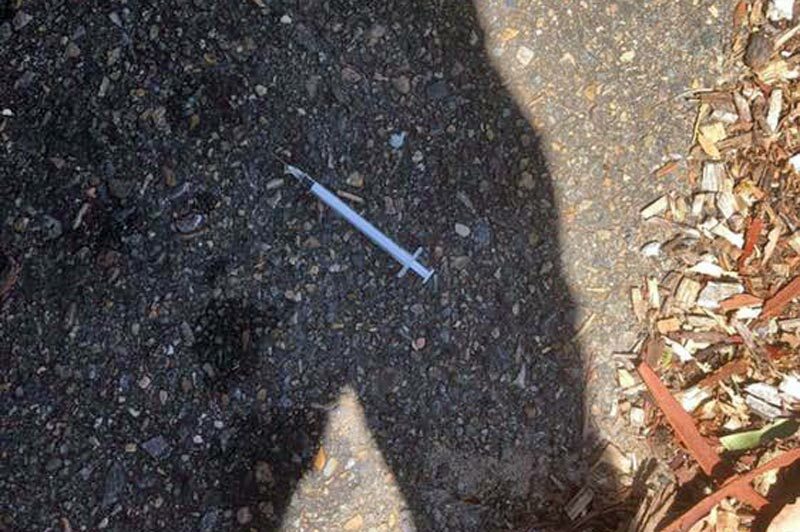 According to Heidi*, the mum who posted the alarming photo, another hypodermic needle was also spotted in the car park. What’s more, Heidi tells me she was informed by one of the commentators on her post that they too had spotted needles at the very same park just a few weeks ago. “So obviously a regular occurrence,” she told me sadly. The photo of the syringe was snapped by Heidi’s husband who had taken their little boy to his favourite local playground while his mum, a nurse, was at work. He spotted it on the ground next to the little bike path that encircles the playground. “This is disgusting,” he said when he contacted his wife about it. As soon as she could, Heidi went to the local park and cleared it of the dangerous sharps. She also informed the local council. Unsurprisingly, Heidi’s post has received lots of angry face emojis from parents. Shooting up in a kids playground is just vile, and everyone agrees. Understandably the image of a needle in the playground has put the wind up many parents. “OMG that freaks me out! WTF is wrong with people!” said a commentator. “This scares the hell out of me. I’ve already had a needle scare with my daughter and a sandpit. Had to go through the blood tests and the waiting to see if she had contracted something awful. Wouldn’t wish it on anyone,” added another. The post is a timely reminder that we need to be on the lookout for these things, as awful as they are. We need to insist our little ones wear shoes, even on a hot day when they feel like kicking them off to chase each other around the playground in bare feet. “Like you, I let my son take his shoes off at parks but I won’t be any more,” Heidi tells me. As for if she’ll go back to her son’s beloved playground, Heidi isn’t so sure. 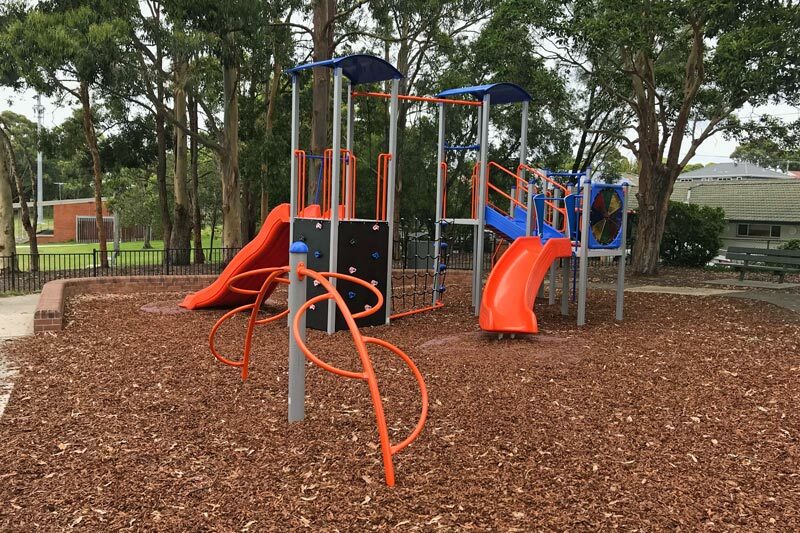 For anyone wondering where this park is, the needles were found at Beverley Job park in Narraweena on Sydney’s Northern Beaches, but really, this could happen anywhere, so let’s all be aware. And please junkies, don’t shoot up in our kids’ playgrounds. That’s just wrong.